I am selling my almost new mattress, because I bought a bed which requires a bigger mattress. 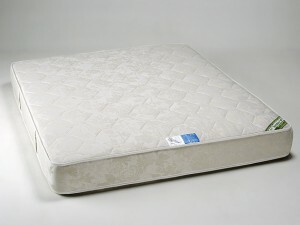 The mattress is 140×200, orthopaedic and ecological, it feels really good to sleep on. I want 4 300 EEK for it, as I paid about 5 300 for it five months ago. Uh-oh, this is going to be difficult. Best wishes for everyone for 2009. Have a great Christmas, everyone. Enjoy being with your family and meeting you friends during these holidays, as who knows when some of them will not be around any more. I have now lived almost for five months without having a kitchen at my permanent place of living. This was not voluntary, but a budgetary decision. However, I have now managed to scrape together some money to get a kitchen installed and hopefully will get a basic kitchen still within this year. I lived without a kitchen before, but then it was for a shorter period and I did live at a location which was at the heart of the city so whenever I was hungry I could very easily go to a shop or café. In my new place, I have still not located a suitable place, although I guess Kristiine Keskus will do if necessary. I thought having no kitchen would make me more free, instead it has limited my options: I have to struggle to find a place to eat, there is limited amount of foods that can be prepared with just hot water kettle, etc etc. On the upside, I have lost a few kg-s because I am unable to go to the refridgerator in the evening and have a little snack. If there is no food around, one cannot eat too much food. The irregular eating habits have, however, proven to be not so healthy for me, so my family doctor has suggest that I eat probiotics. There is another side to it. The kitchen does really make a place of living home. One does not even have to cook very often, but there needs to be a possibility for cooking. Money-wise, I thought that not having a kitchen would be tremendously expensive, because you need to always eat out. However, that seems not to be the case, my budget for food seems to be pretty much the same as it was when I had the kitchen, there is even small savings as I do not eat so much snacks. The biggest problem I have with not having a kitchen is actually not being able to cook. I did not think I would miss cooking so much, but I do. I am not an especially good cook, but I do. there must be a refridgerator and a stove, everything else is extra. There should not be a microwave, as I do not like them.